The Multiladder has weight of 50lbs and can extend 11'-19'. It has a load capacity of 300lbs. Rises 6'8" as a step ladder. 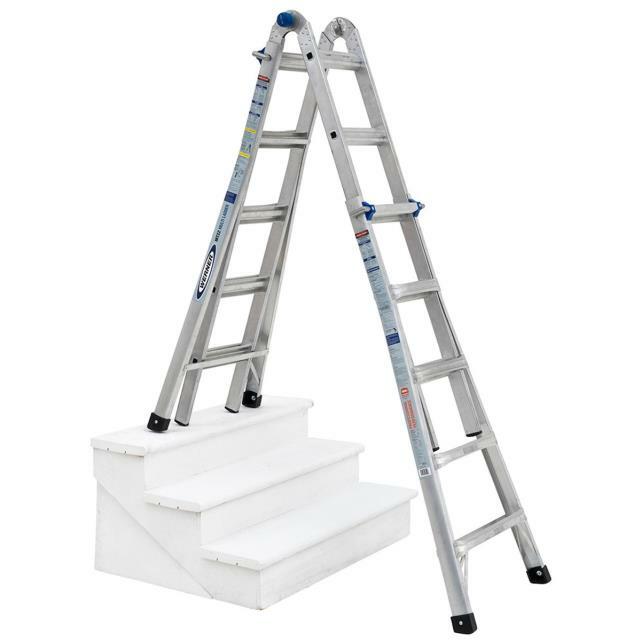 Can be used for a twin step ladder, extension ladder, stairway ladder, or 2-scaffolding bases. Make sure latches are snapped into place. * Please call us for any questions on our ladder multiladder in Concord, serving all of New Hampshire, including Manchester, Canterbury, Loudon, Hillsboro, and Northwood.